Jackson Hole WY is nestled between the magnificent Grand Teton Range on the west and sublime Gros Ventre Mountains to the east, the Wyoming Range on the south eastern flank, the Snake River Range on the southwestern flank and the Absaroka Mountains touching base on the north eastern corner. The Grand Tetons on the west side of the valley isn’t the only breath taking geologic feature, upheavals and erosion in the Gros Ventre range on the east side of the valley have produced an interesting formation. These works of nature have created what appears to be a "Sleeping Indian," complete with mouth, nose, flowing headdress, and folded arms across the chest. With a sharp eye and a little imagination you can see the Indian on the horizon. 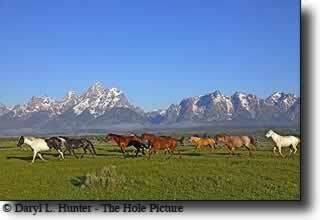 This Valley is also home of Grand Teton National Park and is the southern gateway to Yellowstone National Park. 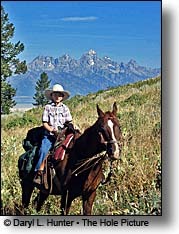 Jackson Hole is known world-wide as the best of the old west. The secret is out that Jackson Hole Mountain Resort is a skiers nirvana, especially those who lust for double-black diamond steeps blanketed in deep powder. Equally deserving of a visit or stay, just 12 miles from that mountain masterpiece, is the century-old, authentic Western cowboy town of Jackson. The town of Jackson (pop. 10,000), with its western ambience and wooden sidewalks, also offers AAA four-diamond lodgings such as the Rusty Parrot Lodge and Wort Hotel. Other town attractions are upscale boutiques, exceptional restaurants, 30 art galleries and the Center for the Arts completed in 2004. Total lodging count is 80+ properties with 5,000 rooms. Prime entertainment centers are the Million Dollar Cowboy Bar, which features live music and saddles as bar stools, and the Silver Dollar Bar. Part of the latter's appeal is the 2,000 silver dollars inlaid in the counter. Jackson also has movie theaters and indoor ice skating. Most high-end lodging and attractions are within walking distance of the Town Square, defined by its gateway arches made of elk antlers. Those attractions include the Snow King Resort, Wyoming's oldest ski area. It has four lifts, 400 skiable acres, 1,570 vertical feet, a terrain park, halfpipe and tubing hill. Many who visit Jackson wonder why the town of Jackson isn’t named Jackson Hole, as Jackson Hole is where they set out for. This conundrum deserves an explanation. 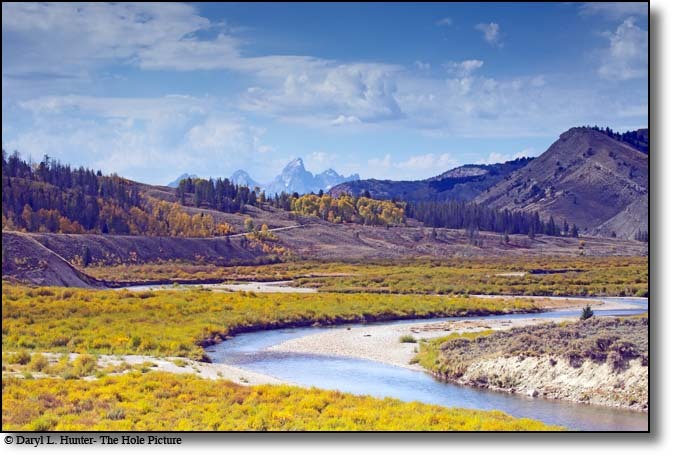 The mountain men of yore called valleys; “holes,” Davy Jackson was the mountain man that trapped beaver in the valley of the east side of the Grand Tetons; therefore, it became known as Davy Jackson’s Hole or Davy Jackson’s Valley. It has in the ensuing one hundred ninety years been shortened to Jackson Hole; therefore, the town of Jackson is in the valley called Jackson Hole. The community, the valley, and the lake were all named after mountain man, trapper, and trader, Davy Jackson. 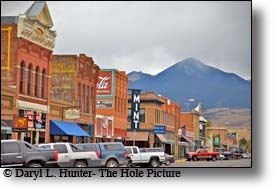 The hole or valley is 48 miles long and six to eight miles wide, embracing an area of approximately 400 square miles. The Snake River Flows through the Valley and the Grand Tetons tower 7,500 feet above the valley floor with the Grand Tetons rising to 13,770 feet above sea level. 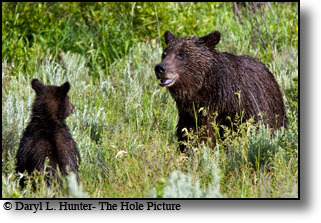 Grizzly Bears like this one roam the mountains surrounding Jackson Hole. 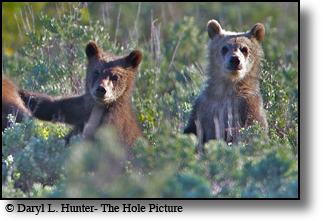 There are about 600 grizzlies in the Greater Yellowstone Eco-system. Jackson Hole lays a few miles west of the continental divide and lies near the Snake River’s headwaters in Yellowstone. Hundreds of mountain streams converge from the surrounding highlands, adding to the Snake River’s flow. With so many mountain ranges within a stone’s throw, Jackson is a hub of outdoor recreation opportunity. Skiing is the major winter pastime, and Jackson Hole Mountain Resort, Snow King and Grand Targhee all offer an excellent skiing experience and accommodations but many locals prefer the Teton Backcountry for their ski mountaineering adventure, skinning up the mountain gives you a greater appreciation for the descent. There is a saying around Jackson; “I came here for the skiing but stayed because of the summer. There is about five fun things you can do in the winter but in the summer there are hundreds, horseback riding, fly-fishing, whitewater sports, canoeing, hiking, and photography just to name a very few. Jackson is the prefect North American Wildlife Safari destination; elk, deer, bighorn sheep, mountain goat, pronghorn antelope, moose, grizzly bears, black bears, and many other small mammals can be found throughout the valley. A plethora of bird species hangs also can be found in the valley throughout the year including various ducks, eagles, geese, and trumpeter swans. Jackson Hole is also home to the National Elk Refuge where thousands of elk winter right outside the town of Jackson. The National Elk Refuge, northeast of Jackson, provides a home for thousands of elk each winter. Visitors can take sleigh rides among the elk from mid-December through April. Until shortly after 1800, Jackson Hole was a favorite spring, summer, and fall hunting ground of the Indians, but the Indians, unlike us, always had the common sense to move to warmer places for the winter. There is a mountain in the Grand Tetons named Mt. Teewinot The name of the mountain is derived from the Shoshone Indian Tribe word meaning "many pinnacles" and Teewinot is thought to be the name the Shoshone Indians called the whole Grand Teton Range. John Colter was the first American to see Jackson Hole In 1807, originally a member of the Lewis and Clark Expedition, a fur trader named Manual Lisa, who had recently set up a trading post on the Yellowstone River recruited Colter to do some PR work with the Indians and let them know where his trading post was and that he was open for business. 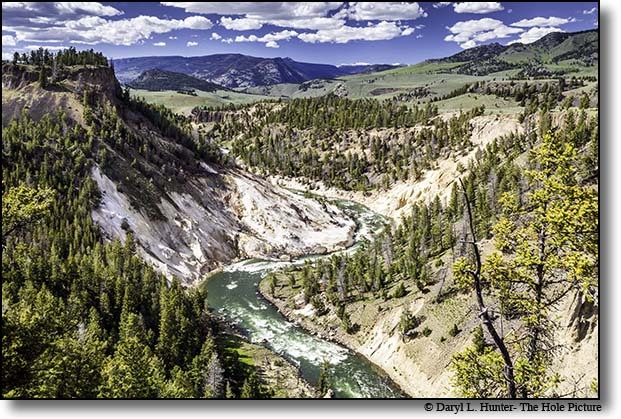 He traveled south down the Bighorn River, west up the Wind River, over Togwotee Pass, down through Jackson, over Teton Pass and down through eastern Idaho telling the Indians he encountered along the way of the trading post on the Yellowstone River. He then backtracked through Jackson Hole, then veered northwest into Yellowstone but that is another story. Chief Washakie's Shoshone tribe was one of the tribes that spent summers in Jackson Hole. The decades that followed are frequently called the "Fur Trade Era," for the Teton region became the scene of intensive exploration and trapping activities. The mountain men of Jackson Hole were hardy characters who, over a period of about two decades contributed to the opening of the western frontier. Among these frontiersmen were Jedediah Smith, Jim Bridger and Davy Jackson. William Sublette (a partner of Davy Jackson's) who, named Jackson Lake and Jackson Hole after Jackson in 1829. Jackson Hole was a crossroad of trapper trails of the fur trade era, because six trapper’s trails converged as the spokes of a wheel upon their hub. By 1845, because of the declining supply of beaver pelts, the corresponding increasing price and the new popularity of silk top hats spelled the demise of the beaver trapping business. 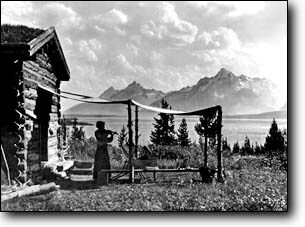 During the next four decades, the valleys near the Tetons were largely deserted, except for Indians who still-hunted here. As the American frontier expanded and one government expedition after another surveyed the west, the most important of these for Jackson Hole was the Hayden Surveys of 1871, 1872, 1877, and 1878. These survey parties named many of Jackson Hole's natural features, including Leigh, Jenny, Taggart, Bradley and Phelps lakes and Mount St. John. William H. Jackson, a member of the 1872 Hayden Expedition, took the first known photographs of the Tetons. In 1879, and Expedition artist Thomas Moran put them on canvas. In the mid 1880s, the first settlers came. They entered by the Gros Ventre River Valley from the east and Teton Pass from the west, most were Mormon, the villages of Kelly, Jackson, Wilson and Moran were established by these pioneer homesteaders. 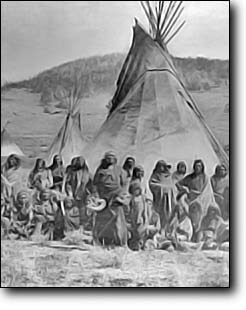 Among these early settlers was Nick Wilson who became failure with Jackson Hole when he ran away from home to live with the Chief Washakie’s Shoshone tribe in the 1950’s. Jackson Hole, once over shadowed by Yellowstone, due to it’s embarrassment of riches has become a destination resort in it's own right. Many visitors passed through Jackson Hole on their way to Yellowstone then return to Jackson Hole year after year because of the plethora of recreational opportunities it offers the visitor. On June 23, 1925, one of the largest fast-moving landslides in generations occurred near the village of Kelly, Wyoming. In just three minutes, huge amounts of rock and debris cascaded down the north slope of Sheep Mountain, changing the area forever. Hurling down the slope at 50 m.p.h., the mile-wide slide carried 50,000,000 cubic yards of debris. The mass rode 300 feet up the opposite slope, blocked the Gros Ventre River, and formed a five-mile long body of water known today as Lower Slide Lake. The piles of debris seen today contain large chunks of Tensleep Sandstone, along with remnants of the original forest. 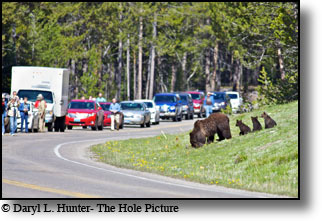 The delisting of the Yellowstone Grizzly Bear is imminent and this we should celebrate (''''dancing''''). Now that our happy dance is complete, we must ensure the grizzlies' recovery is permanent. To ensure "continuity of achievement," the grizzlies need a firewall to protect the success of this achievement from human foible. The Interagency Grizzly Bear Committee was formed in 1983 to help ensure recovery of viable grizzly bear populations and their habitat in the lower 48 states through interagency coordination of policy, planning, management, and research. Many people have been working on this recovery for decades, for some; it has been most of their career. I can understand why the delisting of the grizzly before their retirement is their goal. A metaphorical gold watch if you will. 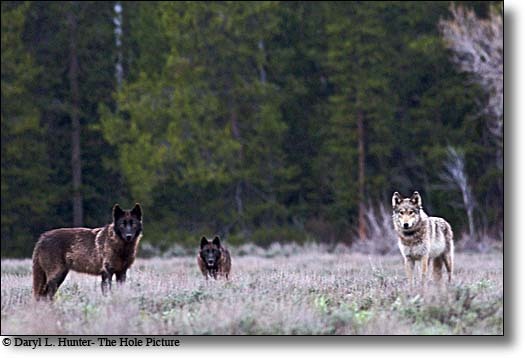 Blondie the Grizzly Sow and her three cubs, where these four bears roam in the Teton Wilderness is likely to open to hunting someday soon, this must not happen. 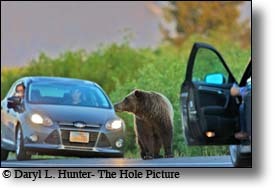 Yellowstone roadside grizzlies worth rangers' hassle??? 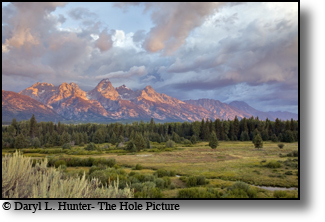 The Grand Teton Photo and Field Guide is an encapsulation of the flora, fauna, and photography of Jackson Hole Wyoming and Grand Teton National Park. Also included are thumbnails of the history and geology of the valley. 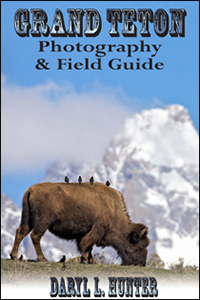 This book is for all visitors with a desire to seek out wildlife, photograph the landscape, or merely learn about the history, geology, and lay of the land of Grand Teton National Park. The author provides general overviews including hot links with more in-depth descriptions of subjects of individual interest. In the “Lay of the Land” section, includes the obvious highlights along the loop through Grand Teton Park. Hot links to side roads will give you more in-depth description of side roads and feeder roads and their highlights. Also included are descriptions of all two-rut roads that are legal to travel on in Grand Teton Park. GPS links to Google Maps are provided throughout. As a field guide, profiles of most of animals and birds in the area are described. 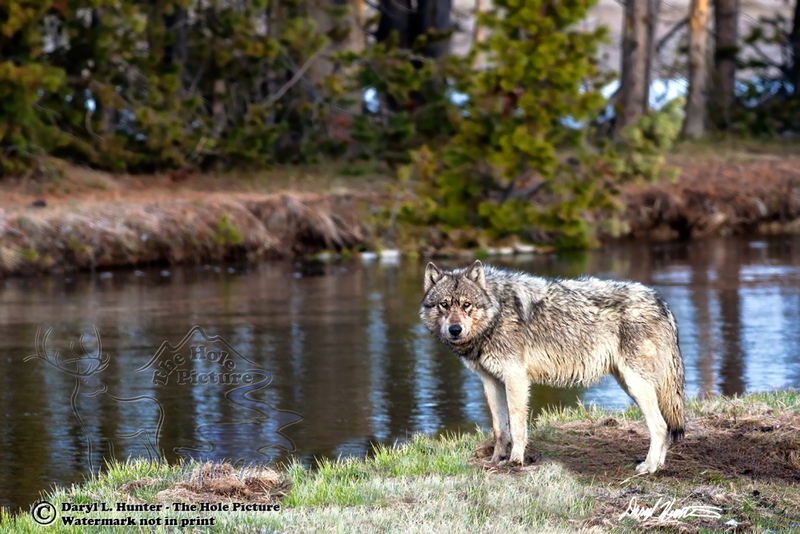 Jackson Hole is full of wildlife but there are places where animals are, and there are places where they are not. It is a waste of time to scrutinize a landscape devoid of what you are looking for, so this guide narrows options down to the hot spots. 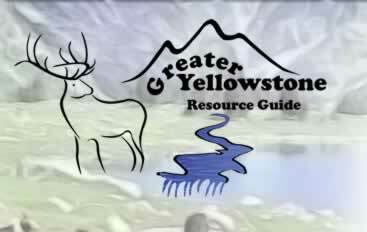 I provide maps of the likeliest places to find the popular critters of Grand Teton National Park. I also touch on trees, shrubs, and wildflowers with minimal explanations. The grandeur of Grand Teton Park has made it one of the most photographed places in the world. 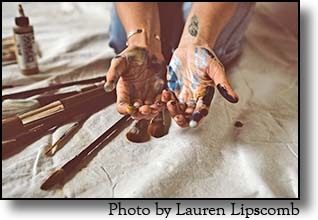 The opportunity to harness multiple juxtapositional elements has drawn photographers for over a century since William Henry Jackson took the first photos here in 1878. Grand Teton Park’s plethora of famous vistas are profiled as well as many which are less clichéd that can bring new perspectives of a well-documented landscape. Grand Tetons’ iconic landscape photo opportunities are described in detail; however, they barely scratch the surface of opportunities as it takes a photographer with an artist’s eye to unveil as they follow their own intuition and vision. The author who shies away from clichéd landscapes provides a chapter of his favorite places that aren’t landscape clichés. In the photography section the author includes chapters on composition, exposure basics, when to shoot and why. 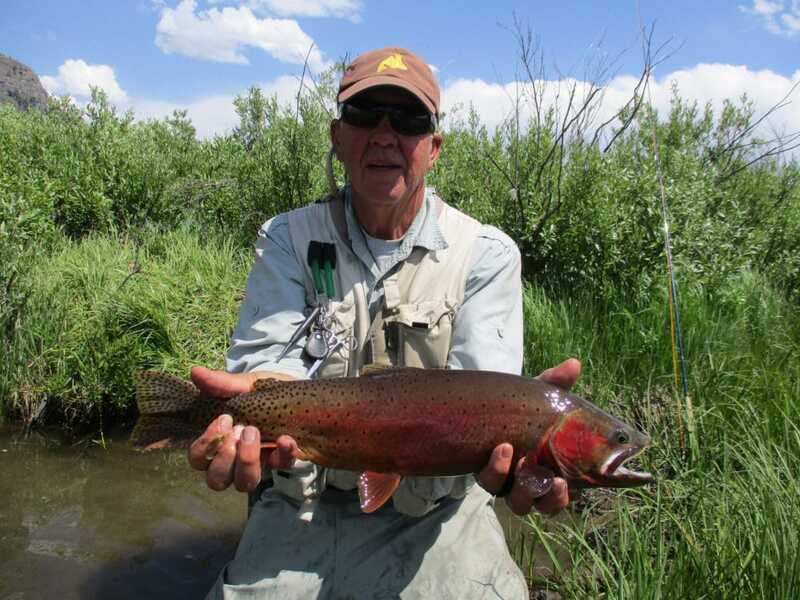 Daryl has summarized what he teaches in his, half day, Grand Teton workshops in a simple concise way.